London (AFP) – Europe’s main stock markets diverged on Thursday awaiting a regular policy meeting of the European Central Bank and as traders tracked the latest twists and turns in US President Donald Trump’s plans over tariffs. Around 1000 GMT, London’s benchmark FTSE 100 index was up 0.1 percent compared with Wednesday’s close. In the eurozone, Frankfurt’s DAX 30 fell 0.3 percent and the Paris CAC 40 climbed 0.4 percent. Milan’s FTSE MIB shed 0.1 percent. In foreign exchange, the dollar rose against the euro, pound and yen. “Stock markets in Europe are broadly unchanged as traders wait the European Central Bank meeting,” said David Madden, analyst at traders CMC Markets UK. Fears of a transatlantic trade war and political deadlock in Italy will not cloud European Central Bank optimism Thursday but policymakers will remain tight-lipped about plans for winding down their massive support to the economy, analysts predict regarding the outcome of the ECB meeting. Markets have this week nervously eyed a populist surge in Italy, the eurozone’s third economy, and barbs flung between Washington and Brussels. 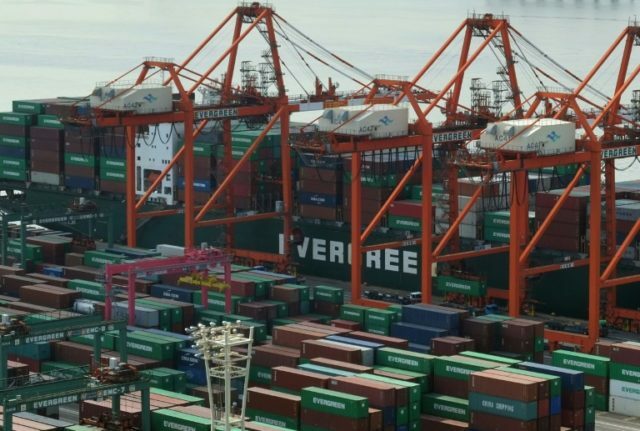 A softer tone on threatened tariffs from the White House helped Asian stock markets rise on Thursday, continuing a week of volatility sparked by fears of a global trade war. Equities have swooned since Trump last week unveiled the levies as part of his “America First” agenda, which were met with anger across the world and from leaders in his own Republican Party. European Union officials outlined planned retaliatory measures on targeted American exports to be rolled out if the US makes good on its threat, while China said it would make “an appropriate and necessary response”. This week has seen sharp swings in stocks from positive to negative as predictions the measures will not be as bad as feared were offset by news Wednesday the president’s pro-trade top economics advisor Gary Cohn had resigned. A final decision on the tariffs is expected soon. Elsewhere on Thursday, oil prices steadied after tumbling two percent Wednesday on a surge in US crude output. EURO STOXX 50: UP 0.2 percent at 3,385.13.